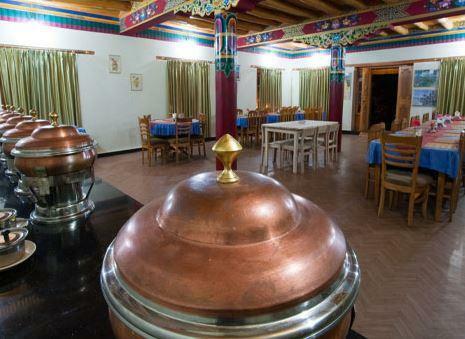 Eco Poplar Resort is a budget property, located at 6 kms from Leh Airport and 3.8 kms from Bus Stand JK SRTC. The property renders facilities like laundry, doctor on call, money exchange facilities, taxi available, yoga meditation centre and parking. In-room amenities include satellite television, intercom, DVD player and a room heater. Mineral water is provided upon request. Internet/Wi-Fi, Front Desk, Parking, Laundry Facilities, Room Service, Doctor on Call, Family/Child Friendly, Baggage Storage on Request, Major Credit Card Accepted, Airport Transportation. House Keeping, Air Conditioning Room, Desk, Telephone, Television Room, Attached Bathroom, Dustbins, Complimentary Newspaper, Bottled Water in Room, Shower Caps. User reviews for "Poplar Eco Resort Leh"